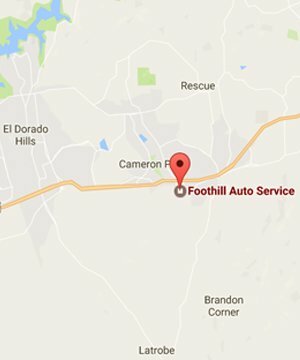 Foothill Auto Service is owned and operated by husband and wife team, Rob and Yvette Ashlock and first opened their doors in June 1998. Rob is an ASE Certified Master Technician with almost 40 years of hands on experience. His mechanical aptitude revealed itself quite early. As a small child, he would take things apart to see how they worked and then put them back together again. At 14 he bought is first car. That was the beginning of his auto repair experience. His career as a professional automotive technician started in 1979 and in the years since has worked on all makes and models. Rob oversees all service and repair work and deals directly with customers to ensure a thorough understanding of any recommended service and the options available. Yvette is the numbers gal. She does the bookkeeping, schedules appointments and helps with preparing estimates, ordering parts and supplier management. Prior to opening Foothill Auto Service, Yvette had a 19 year career in the Telecommunications industry where she held various management and analytical positions. It was her career in fact that brought the couple to the area in 1995.